What an honor it was to meet Zeus and his family today. Our groomer, Crystal, gave Zeus the works because this PTSD service dog sure deserved it! He is making a huge impact on a Marine who was injured in an IED attack and lost his hearing amongst other injuries, including suffering from PTSD. We can’t wait to see Zeus, Jeff, and Lisa again! The Warrior Dog Foundation was established by Mike Ritland who fought as a Navy SEAL in Operation Iraqi Freedom and other deployments. He created the Warrior Dog Foundation with the sole purpose of giving back to the Navy SEAL and special operations community. Mike’s generous donations of well trained service dogs make it possible for veterans to have zero out-of-pocket costs. 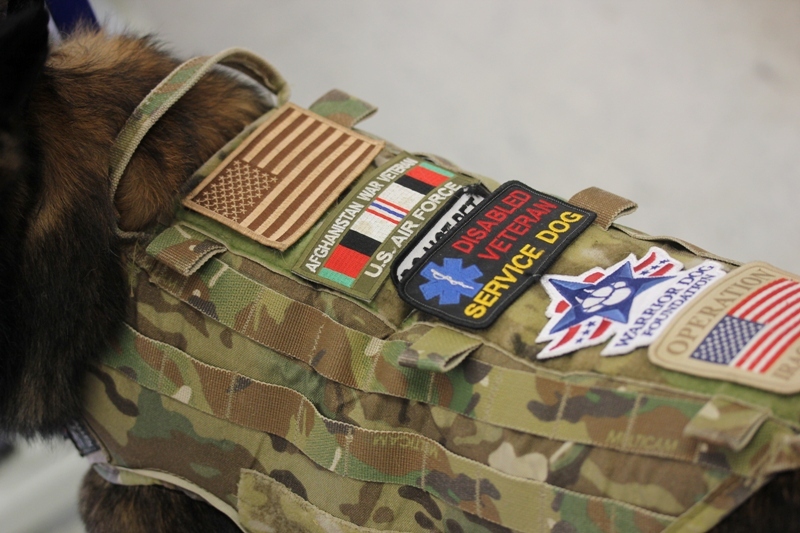 The Warrior Dog Foundation strives to educate the public on the importance of K-9s in the combat environment, and showcase the level of sacrifice these dogs give in support of our troops.